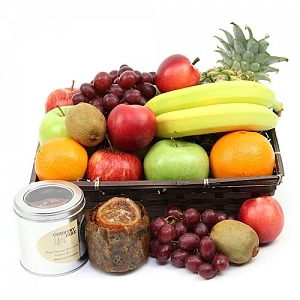 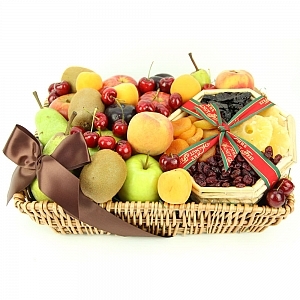 Looking for a gourmet fresh fruit basket? 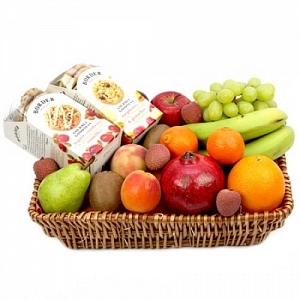 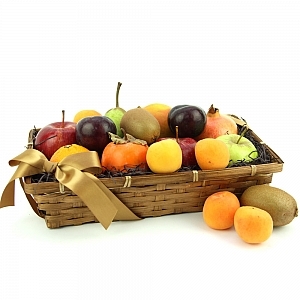 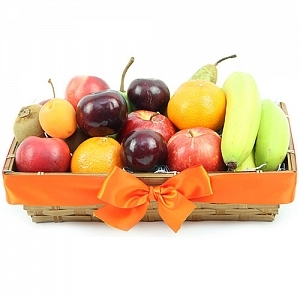 We have an array of luxurious Fresh fruit Hampers packed with premium Fruits. 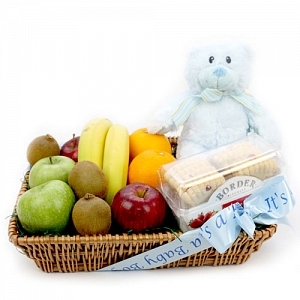 A perfect gift for all occasions whether it be Mothers day, to send a get well soon wishes or sending a gift to say thank you during the christmas holiday season we've got it covered with our next day delivery across UK. 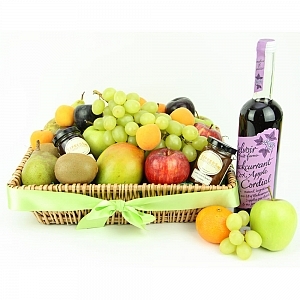 With a range of fresh fruit Gift Baskets and Gift hampers to choose from, our fruit baskets delivered are extravagant in every way since each basket is full of nourishing fruits is an ideal gift for all occasions suit perfectly well for all lifestyles filled with brimming selection of handpicked fresh apples,oranges, pears,peaches and other bountiful fruits. 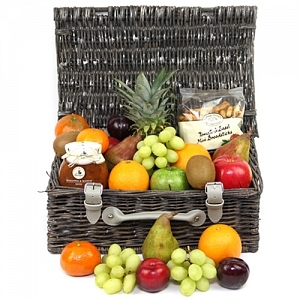 Our range of luxury fresh fruit hampers and gift baskets are the ideal present for health-conscious individuals and are packed full with only the freshest fruit available. 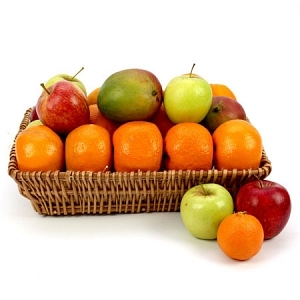 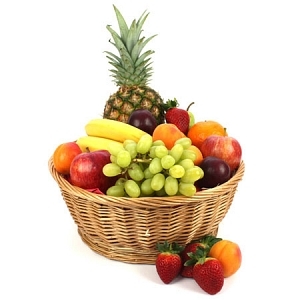 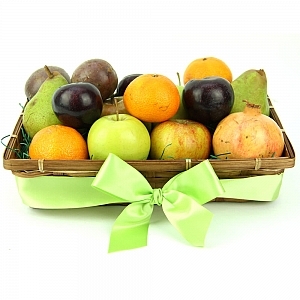 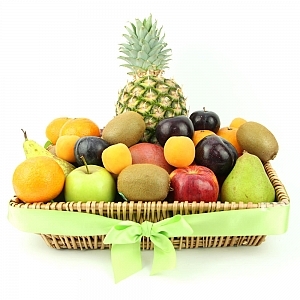 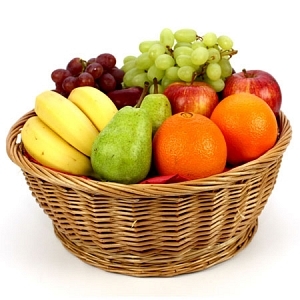 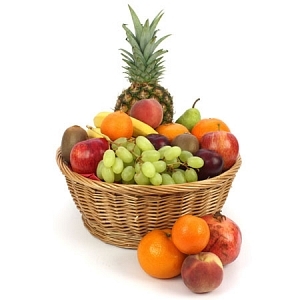 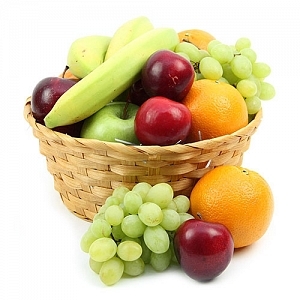 Take a look from our best selling fruit baskets such as the Fruit Goodness basket, Season’s Delight Fruit Basket , Tropical Mix Fruit Basket. 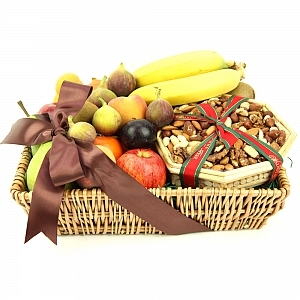 Al Our fruit Hamoers and Gift Baskets are available to order online comes with the choice of free personalised message on the ribbon and a message card to mark that special occasion. 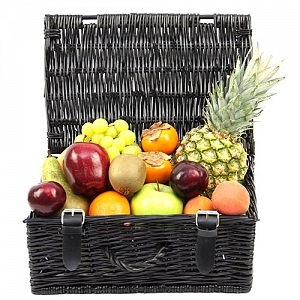 If you are looking to create a luxury fruit gift basket or a bespoke fruit gift for a particular person, then our personalised fruit gift hamper is perfect for that special moments of your loved ones beautifully presented and securely packed delivered trhough our trusted network of courrier partners. 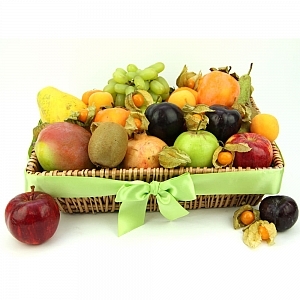 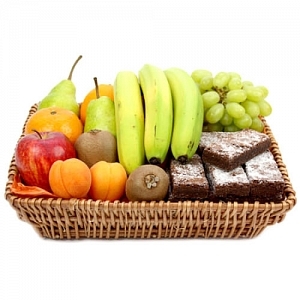 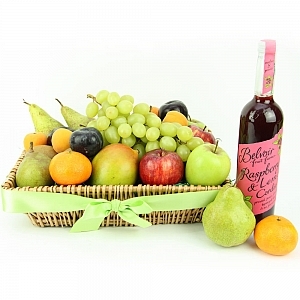 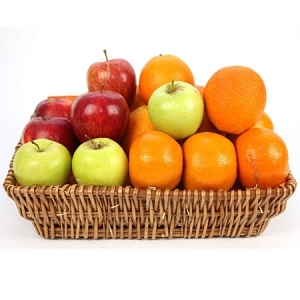 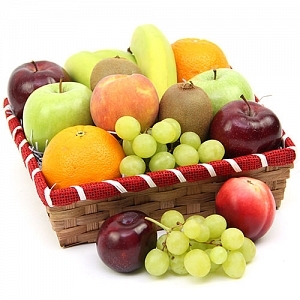 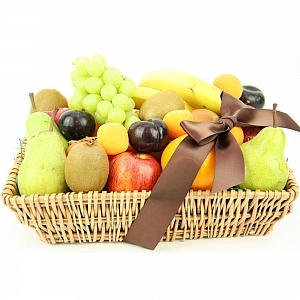 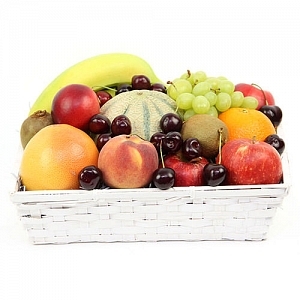 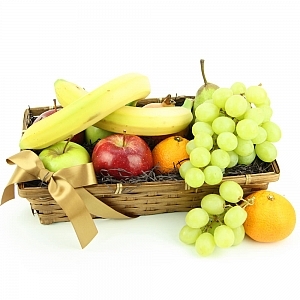 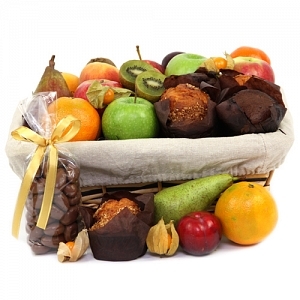 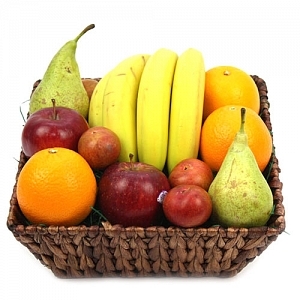 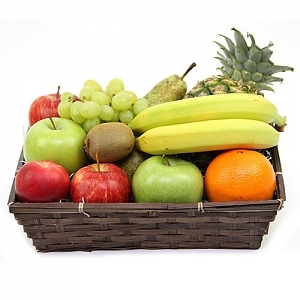 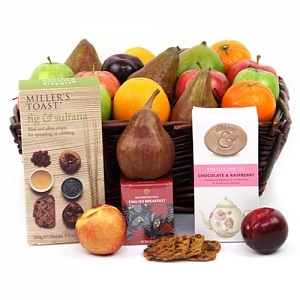 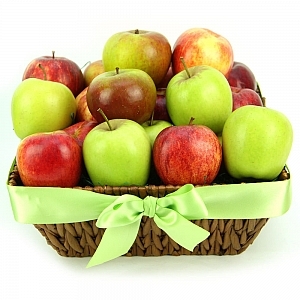 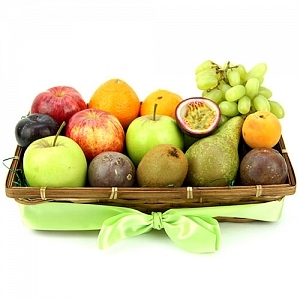 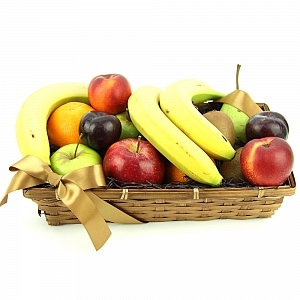 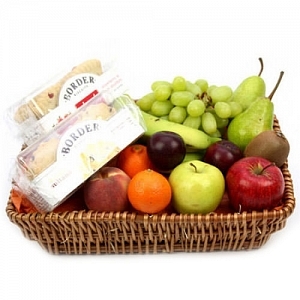 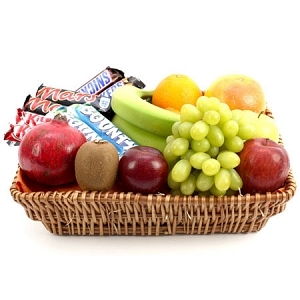 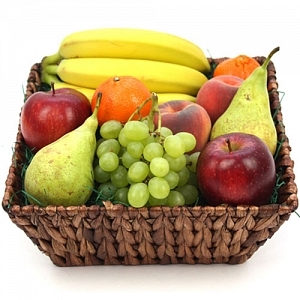 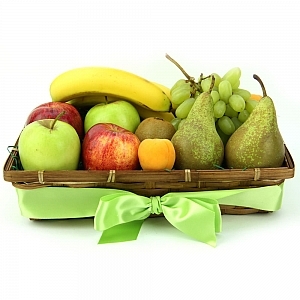 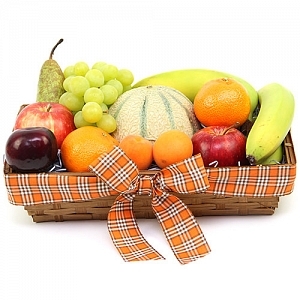 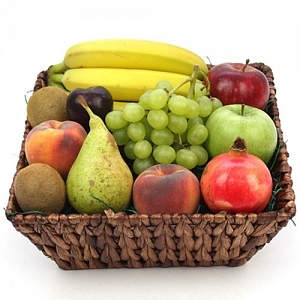 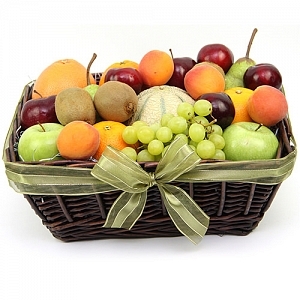 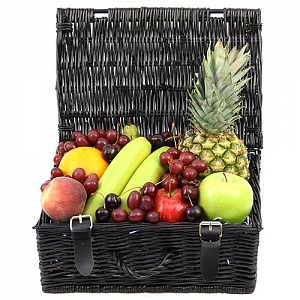 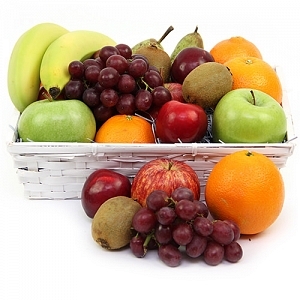 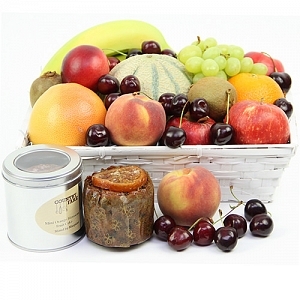 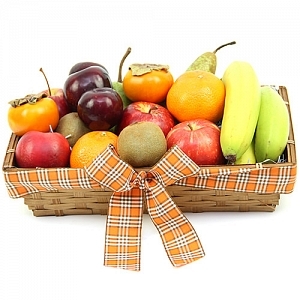 All our fruit Gift Baskets and Fruit Hampers can be ordered online and can be delivered next day to mainland Uk. 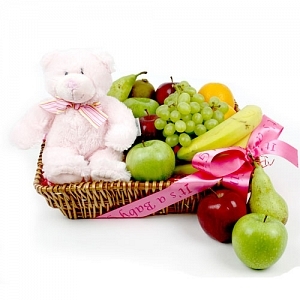 You can also send Fruit Baskets online to your loved one on their special day with our free personalized message attached.